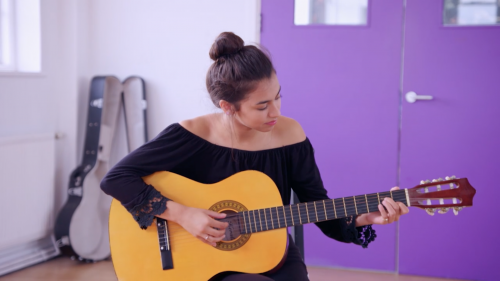 Stage School is a structured reality series that follows the lives of the students and teachers at the prestigious D&B Academy of Performing Arts in Bromley. Going behind the scenes of a real-life stage school, we'll witness an all singing, all dancing rollercoaster journey of auditions, teen romance and jazz hands. We'll follow our pupils training for the big time, as they collaborate with some of the most exciting artists in the business, attend high profile auditions and try to outperform their class mates in bid to make their dreams a reality. 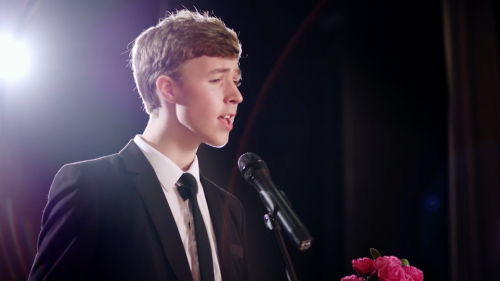 The series demonstrates the blood, sweat and tears needed to make it in the world of show business, and will also feature singing and dance routines all performed by the talented pupils. Their lives are not a rehearsal – every moment is a performance. With the new school year underway, new girl Lucia is thrown straight into the lions den when she is forced to audition in front of principles, Bonnie and Donna. 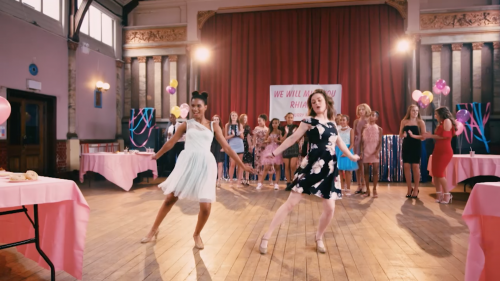 The fresh term also offers exciting news for street dancer Leah, but will her hopes of performing in the college’s first ever dance crew be jeopardised when two junior school students, Brooke and Rhianna, threaten to steal the limelight. Meanwhile reformed bad boy Josh is forced to take some unruly junior school pupils under his wing. 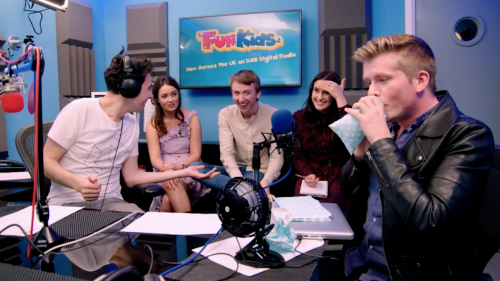 Having aced her audition, Lucia and her fellow classmates are given some exciting news, a potential masterclass with a top A-list performer, but why is fellow newbie and best friend Hollie so upset? Having impressed in the first dance crew audition Brooke and Rhianna and fellow finalists are invited to perform in front of their new choreographer. Elsewhere new student Giles struggles to comprehend the expected school dress code, and he runs into trouble with new prefects Alex and Lydia. With new choreographer Swoosh capturing the imagination of the students, the race is on to see who makes the dance crew. Brooke and Rhianna seem pretty confident but have they bitten off more than they can chew? Best friends Vinnie and Santino join forces to help Vinnie overcome his shyness with girls. 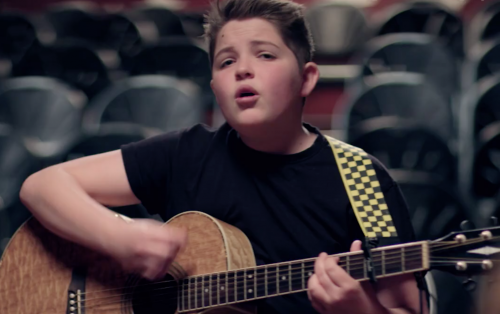 Elsewhere, Jordi gets the short straw and is asked to perform at the end of the week assembly, but does he have what it takes? Swoosh picks the final members for the college’s first ever dance crew, but just who will get to captain it? Deciding to put her fears to one side for the celebrity masterclass auction, Hollie leans on best friend Lucia to get herself prepared, but does this put Lucia’s own chances at risk? 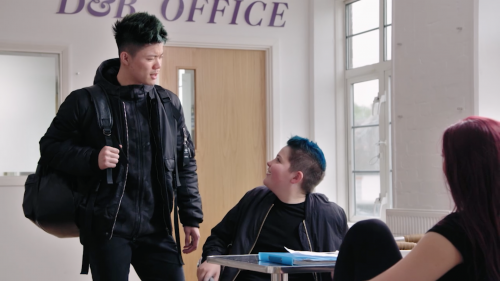 Meanwhile Josh is forced to undergo some extra dance classes with pupil-turned-teacher Joe, but will he take it seriously? With the dance crews first live performance looming, rivals Leah and Kieran clash when fellow dancer OJ struggles with the routine. It’s the day of the exciting celebrity masterclass, but just who is the celebrity and can Lucia focus when she is joined by fellow student and potential love interest Jordi? Meanwhile Santino and Vinnie’s friendship is tested when Santino finds out just who Vinnie’s in love with. Having found out that it’s his sister that Vinnie fancies, Santino is giving Vinnie the cold shoulder, however Vinnie has a novel idea to get their friendship back on track. With a rollicking from Swoosh fresh in her mind, Leah is forced to ask her dance rival Kieran for help. 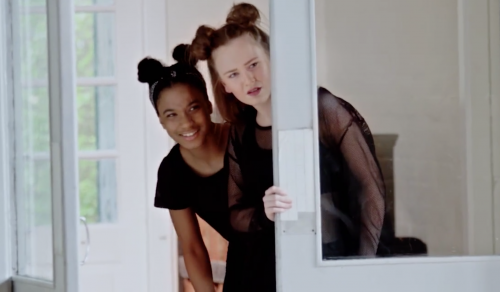 Elsewhere principles Bonnie and Donna start the ball rolling in their search for the key duet roles for showcase, but will the boys vs girls ‘riff off’ cause sparks to fly between new best friends Lucia and Jordi? Donna and Bonnie announce that the duet auditions are now in full swing for the Showcase, but following his antics at the ‘riff off’ will Jordi be part of it? With the juniors also being given the opportunity to prepare something for showcase, can Rhianna and Brooke give mature Tom a contemporary makeover to boost his chances? Meanwhile Giles decides to get his own back on prefect Alex. Star pupil Annalise is working hard to prepare for the showcase audition but just what is up with partner Durone, and why is he always late? Tom has a second chance at preparing something more personal for his showcase audition but how will the dynamic duo Brooke and Rhianna cope now they are out of their comfort zone? 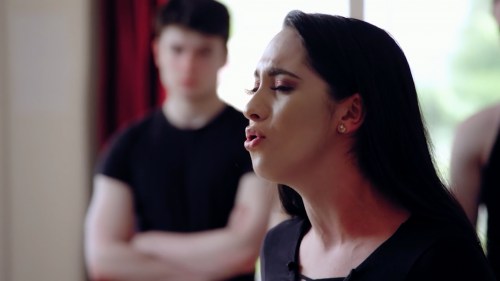 It’s part one of the duet audition, Lucia has partnered up with old flame Dan, but is their new relationship just professional? Giles makes a bold move in his choice of partner for the final duet auditions and Alex is fuming. Vinnie reveals his admiration for a fellow pupil and is aided by Josh to transform his image in a bid to impress. Brooke and Rhianna kick off their audition piece in earnest, but will they make the costume shop on time? Durone is called into the headteachers office over concerns about his tardiness and has some shocking news. Dark horse Jerzey has plans to win the juniors slot for the showcase and matters reach a climax as Bonnie and Donna prepare to make their final casting decisions. The college reveal a scholarship programme which is exciting news for Lucia , but will it cause friction in her affections for Jordi? Josh and Jordi are forced to work as stagehands for the upcoming Showcase with disastrous results for teacher Joe. Having lost out on the lead role for the juniors slot for the showcase, Jerzey tries to grab a star role at the pupils' disco. Tensions begin to rise between best friend Hollie and Lucia in the battle for the scholarship. Josh causes further problems for Lucia when an uploaded photo on social media causes her to question her relationship with Jordi. With Alex and Giles running the junior school disco, old tensions surface that plan to wreck not just the kids party but their careers at the school. 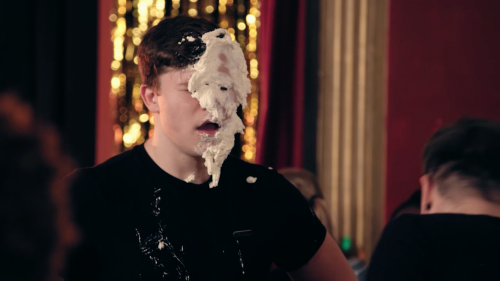 Following the food fight it’s time for students Alex and Giles to face the music with D&B, but will Giles turn his new ‘bad boy’ status to his advantage with the ladies? The day of the scholarship has arrived for Lucia and Hollie, but with tensions rising their friendship is now at risk. Swoosh has some very special guests to inspire the school dance crew, but will Leah be up to the challenge? With the Showcase imminent, tensions are rising right across the college. Jordi gets too close to Pia for Lucia's liking, but is it all just an innocent misunderstanding? Swoosh tries a desperate last attempt to get Leah back on track, while Jordi and Josh’s slapdash backstage efforts come back to haunt them. The college Showcase has finally arrived, and the school is buzzing, but is it too soon for the struggling D&B dance crew? Josh’s decision to delegate his backstage duties to Tom, Vinnie and Santino does not bode well for Brooke and Rhianna's big dance. Meanwhile, just who is behind the mystery gifts to Lucia backstage, and will it finally bring her and Jordi together or push them further apart? Having asked Jordi what his feelings are towards her, just what will his answer be for the lovelorn Lucia? With the day of reckoning looming for the scholarship hopefuls, can Lucia put her romantic distractions aside, and what will the verdict mean for her friendship with Hollie and their future school careers? Following the disappointment of not making the Showcase, the dance crew are now free to focus on the National Dance Championships, but bumping into rival dance outfit Taboo suggests the road to glory won’t be a smooth one. Guest speaker and pop superstar Will Young has some very exciting news for Lucia, Hollie, Pia and Sophie, but can they grasp the opportunity? Meanwhile D&B dance crew’s new found optimism is put to the test when they are asked to perform on a hip new pop promo. Party animal Vinnie is the hottest VIP ticket in town and has the juniors all in a spin, but which of his female suitors has what it takes to be his plus one? It's a big day for the girl band, as global rock gods the Vamps come to town to teach them a trick or two on how to be a success in the pop industry. But does Pia still have doubts about Sophie? Old conflicts arise for the dance crew, and their new found harmony seems to be evaporating already, with Nationals looming is this one problem too many for Kieran? Meanwhile Santino's position as college ladies man is under threat thanks to hot new pupil Dexter. Following on from impressing the Vamps, its the day of reckoning for the girlband and their first live gig, but will the bands new look impress Sophie? With Nationals just a day away, Kieran’s patience with the dance crew is wearing thin thanks to a desperate dash to find new members. Will he finally be seduced by a rival dance crew’s invite for lunch? Santino decides to up his game to impress Lauren, but are her feelings for new boy Dexter just professional? 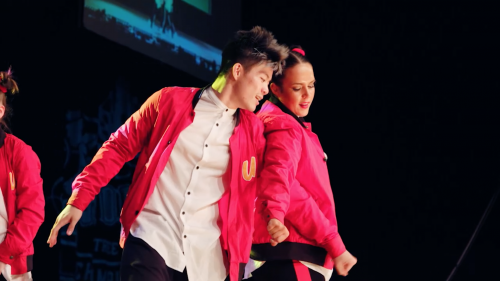 The National dance championships have finally arrived for Underrated, but just how will they perform on the big stage, and will Kieran’s meeting with Taboo backfire for him and the crew’s chances? Fearing new boy Dexter is stealing a march on his love interest Lauren, Santino decides to summon up the courage to tell her how he really feels, but how will she react? Pia decides to have a sleepover to help the band build some chemistry, but is there an ulterior motive? Tensions are rising in the girlband. When Pia makes herself the lead, is this a step too far for Sophie? Rhianna gets some exciting news concerning a major new film, but she needs to learn some stunt skills. Luckily best friend Brooke is there to help her try and overcome her fears. It’s Jordi’s first day on set for his new movie Deadringer, and new BFF Josh is there to support, but does he have an ulterior motive? 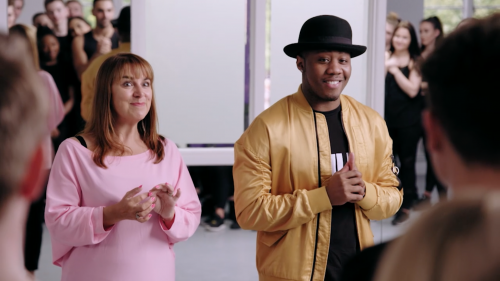 Pia’s decision to let Sophie leave the girlband is brought into sharp focus when the school are given a song-writing class by guest teacher, and The Voice finalist Leah McFall. Will Pia admit to her mistake? With the World Dance Championship finals just around the corner, Underrated knuckle down to learn a new routine, but with Kieran AWOL can the other members step up? Donna has some exciting news for Josh, but will he take his radio DJ role too far? With the World Dance Championships looming, how will Underrated fair with Kieran still absent, and what sacrifices is Leah prepared to make to lure him back? Josh finally gets his big chance - a guest spot on live radio, but how will watching Heart FM DJ, Kat Shoob, react to his abrasive style? Giles is given an offer he can’t refuse, joining the school’s barbershop quartet, but can he make the act any less embarrassing? 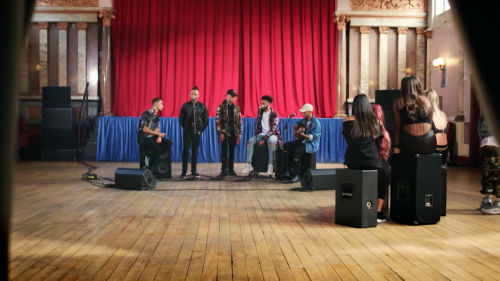 Pia and the girlband are given some top vocal tips by pop soulsters Mic Lowry, but can the girlband utilise their newfound skills when they are challenged to a sing-off by the barbershop quartet? Meanwhile the World Dance Championships have finally arrived for D&B’s dance crew, are they ready for the challenge of all challenges, and will OJ deliver as dance captain? It’s the grand final of the World Dance Championships, but can Ellie put her mistake in the previous round to one side for the sake of the crew? It’s also the girlband's first professional gig, supporting boy band, New Hope Club. But will Lucia’s ongoing troubles with Jordi derail the bands performance? Rhianna gets some amazing news, but drops a bombshell on Brooke. 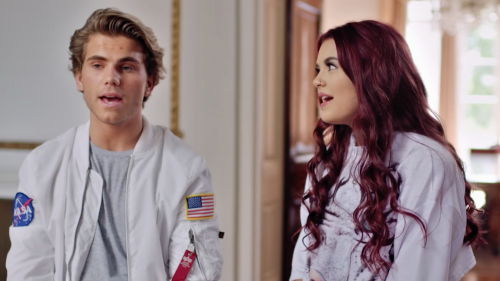 Jordi has a plan to crack America, as he tries to kickstart his pop career, but will Josh help or hinder? Glamorous new student Mia joins the college. Could she be the secret weapon for Jordi to improve his career, and what will the girlband make of her? It’s D-day for Brooke as she attempts to wow Rhianna with her very own personal prom, but will Rhianna rumble the surprise? New student Mia is offered the chance to duet with school bad-boy Jordi, but with Pia on the warpath will she put a stop to it before it's even started? Josh decides to resort to ‘method acting' in a desperate bid to prove to Bonnie and Donna he is as talented as he is naughty. New student Mia gets some surprising news, that puts her on a collision course with Pia. With his panto audition looming, Josh gets jittery, but can best friend Luke stop him from making a fool of himself? With her best friend now gone, Brooke is down in the dumps, so it’s left to a thoughtful Vinnie to do his best to cheer his friend up. But is dancing the answer? 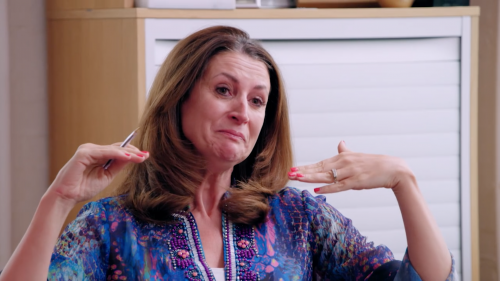 It's the day of the big talent scout meeting, and Pia gets a nasty shock when she realises that Jordi and Mia will also be attending. With the prom looming, Santino tries his best to get over Lauren's rejection by asking out all the girls at school. Can best mate Vinnie help him regain his mojo? Alex gets some positive news, but is concerned it makes him look 'geeky', will Josh help him discover his rebellious streak? It’s the final day of term and it’s the school prom. Leah gets a nasty surprise when she bumps into someone unexpected. Can Santino patch up his differences with Lauren, and how will Alex’s bold new look go down with girlfriend Lydia? 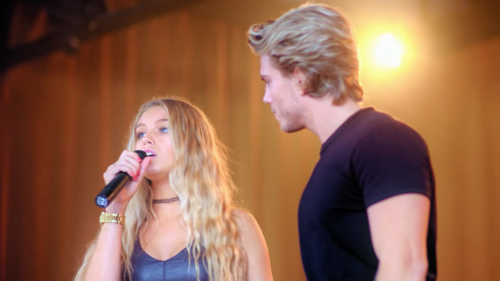 It’s also the big label meeting, just who will get signed - Mia and Jordi, or their bitter rivals the girlband? And is there a sting in the tail for Lucia?